Qualcomm Technologies and Mercedes-AMG Petronas Motorsport, are conducting field trials to test high-speed wireless download of vehicle sensor information utilizing 802.11ad Wi-Fi technology in the 60 GHz band. 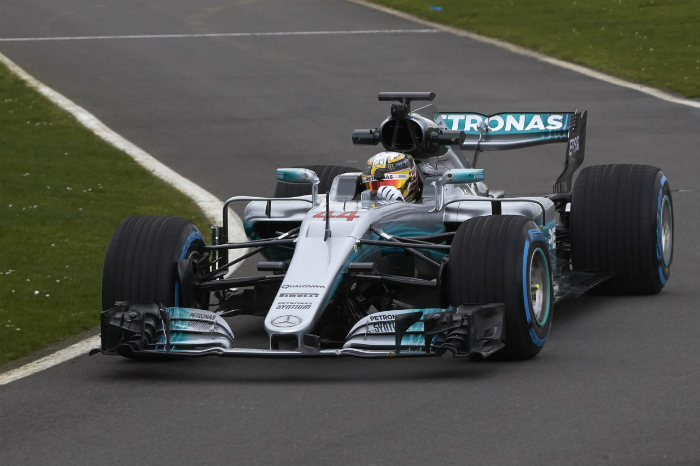 With the success of initial testing conducted during the Formula 1 US Grand Prix in the 2016 season, Qualcomm Technologies and Mercedes-AMG Petronas Motorsport plan to continue technology development and conduct additional trials during the British Grand Prix in July. During these field trials, race engineers utilize both 5 GHz 802.11ac and Multi-gigabit 802.11ad Wi-Fi technology, which operates in the millimeter wave (mmWave) 60GHz band, to gather data directly from the team’s racecar while in, or approaching the garage. 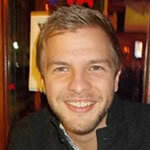 The handover between the two 802.11 modes are handled automatically as radio conditions dictate throughput performance. The goal of the trial is to accelerate how quickly and efficiently data can be pulled from the vehicle, as well as help evaluate vehicle performance under extreme race conditions, helping with quicker assessments and less time in the pit lane. Utilizing motorsport as a test bed, Qualcomm Technologies can also utilize the trial to assist in further developing technologies and applications that can be potentially used for safer road vehicles, as well as the pursuit of the wireless garage. 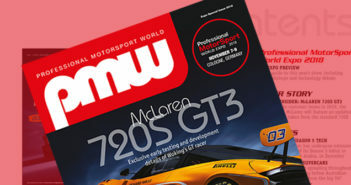 The introduction of 802.11ad Wi-Fi technology to transfer vehicle sensor information builds on the concept of downloading racecar telemetry data via Wi-Fi using the 5GHz spectrum announced by both companies last year, where tire data was pulled wirelessly utilizing thermal cameras. The system will feature a Qualcomm Snapdragon 820 processor with up to 128 GB of Universal Flash Storage memory to collect telemetry data while the car is on circuit. A Qualcomm QCA9500 chip will be used to support the 802.11ad Wi-Fi. 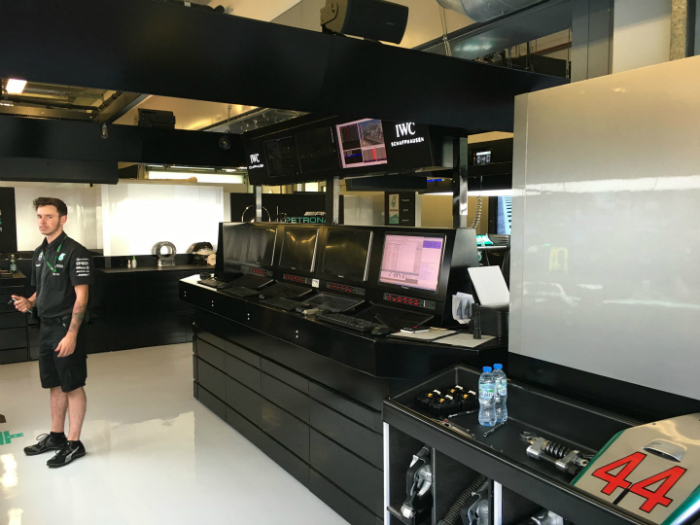 Through the increased throughput provided by the 60 GHz connection, race engineers will be provided more data intensive telemetry, enabling the team to make critical decisions with the aim of making informed decisions. With changes made to tire regulations for the upcoming race season, using significantly wider tires with different performance characteristics, the increased amount of tire data becomes even more critical. During the Formula 1 US Grand Prix trial in 2016, Qualcomm Mobile Test Platforms (MTP), a reference design built by Qualcomm Technologies, were re-purposed to behave as both the on-vehicle unit, as well as function as the 802.11ad wireless access point. During in-garage testing of download speeds of over 2 Gbps, robust and reliable connections were established as race engineers undertook normal garage-related activity on the car. 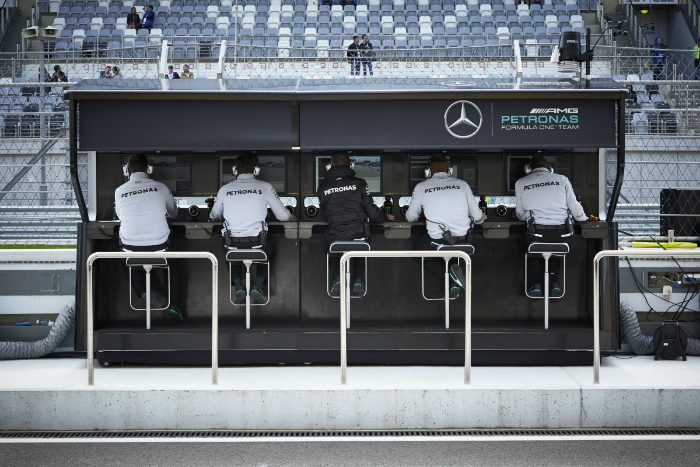 Utilizing the additional download capacity supports additional opportunities to gather data from sensors with the goal of further helping Mercedes-AMG Petronas Motorsport evaluate and optimize the cars’ performance during the free practice session at Grands Prix. With these 802.11ad Wi-Fi faster data transfers, the team’s drivers, Lewis Hamilton and Valterri Bottas, will be able to spend more time on the track, fine tuning performance, and less time in the garage. 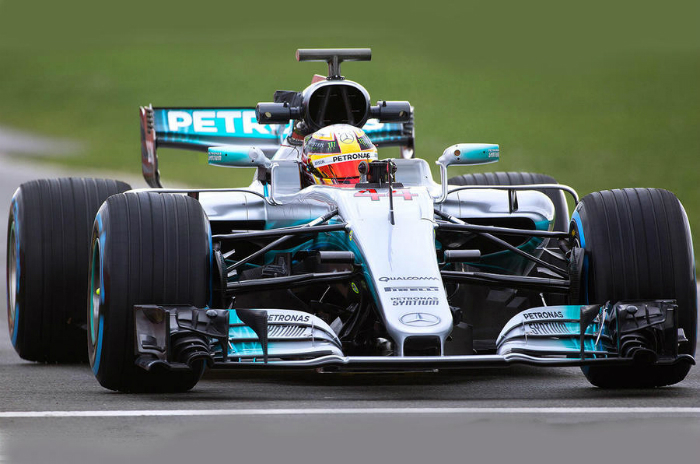 In addition to the multi-year relationship between Qualcomm Technologies and the Mercedes-AMG Petronas Motorsport, Qualcomm Technologies has a long-standing reputation as a trusted advisor and technical resource in the automotive industry. All major global automakers currently use products from Qualcomm Technologies’ broad portfolio of automotive solutions, including the company’s flagship Snapdragon automotive processors and modems. Across telematics, infotainment and connectivity, Qualcomm Technologies has achieved more than 150 automotive design wins, and car manufacturers across the globe have selected Snapdragon processors for their next generation infotainment solutions. 802.11ad Wi-Fi technology is expected to play a growing role in infotainment application within production vehicles, benefiting from ultra-fast speeds to support several infotainment use cases, including simultaneous 4K video streaming to multiple devices and lag-free screen mirroring between smartphones and in-car displays.